Seneca Iron Works is a versatile company that specializes in manufacturing and distributing farm and dairy products. Kahn Steel Company introduces the Ultimate Farm & Ranch tool - The Bale Donkey; the new innovative way of hauling hay was designed with you in mind. Kahn Steel also makes plates, bars, sheets, structurals, shapes, tube coils, pipe and tube. 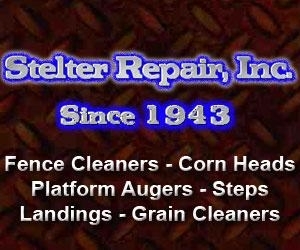 in Stelter Repair, Inc., Stelter Repair, Inc., Stelter Repair, Inc.
Stelter Repair, Inc. is a family owned business for four generations and three generations are working today. Our Fence Cleaner cleans fences, tree rows and other barriers safely and efficiently without damaging the fence. Watch out video and see! Welcome to Common Sense Manufacturing, Inc. Home for all your common sense farming and ranching needs. in Hatfield Mfg., Hatfield Mfg., Hatfield Mfg., Hatfield Mfg., Hatfield Mfg. Hatfield Mfg. Inc. offers a complete line of dairy equipment including the best self-locking stanchions available today. Thomas Wire Rope in Moore, OK is a distributor of wire rope, wire cable, cargo handling gear, fence supplies and rigging hardware. Our inventory is the largest in the five-state area and we provide nationwide next-day delivery of most products. We manufacture the largest line of Castration Banders in the US. 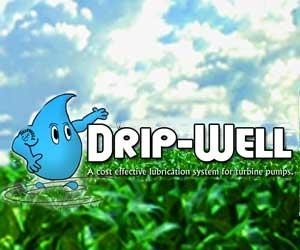 Drip-Well L & M Manufacturing, Inc.
in Drip-Well L & M Manufacturing, Inc., Drip-Well L & M Manufacturing, Inc., Drip-Well L & M Manufacturing, Inc.
L & M Manufacturing serves it's customers with a personal touch and holds the patent on the "Drip-Well" automatic turbine pump lubricator, and also offers a number of other products from Pivot RX, 1tRIPr, Agri-Inject, Egress, Watson and more. 10403 West Miller School Rd.